St John’s Church was opened in December 1870. Designed by Edmund Blacket (a Glebe resident for 19 years) and John Horbury Hunt, it is of Romanesque design. 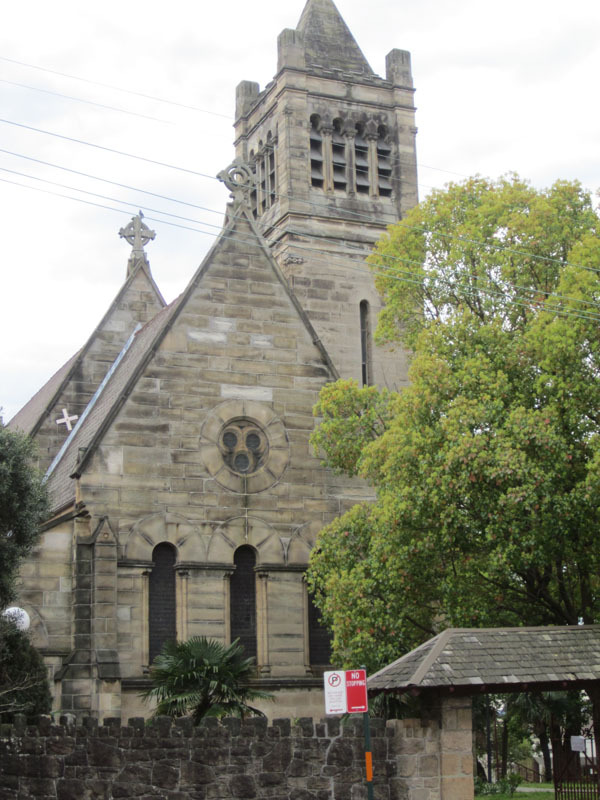 St John’s Church was opened in December 1870. Designed by Edmund Blacket (a Glebe resident for 19 years) and John Horbury Hunt, it is of Romanesque design. The design appears to owe more to Horbury Hunt, Blacket’s prolific and competent associate. The choir, vestry and porch of the church were only added in 1909, by Edmund Blacket’s son Cyril, who also added the tower and bells in 1909. Although occupying a conspicuous site in Glebe, reflecting the Church of England’s original ownership of the suburb, church attendance at St John’s was not high, ranging from 25 to 40 up to 1914. This was no doubt influenced by the custom of the time of charging a pew rent, which excluded working class people.